Today I will live with my eyes on you, Lord, both embracing and resting in what you have done on the cross. It has taken me many years to understand that God wants you and me to simply embrace what he has already done for us on the cross and rest in that forgiveness, reconciliation, and renewed relationship with him. I have also discovered—and maybe you have too—that when I am trying so hard to live a good life, my focus is on me. All I see is where I am flawed and fail­ing. But when I take my eyes off myself and my performance, when I instead focus on the love of God and the companionship of Christ, I find not only amazing joy but real peace too. Jesus wants us to live in his victory. He has already overcome the enemy. He has already paid for our sin. Yet the power of sin and the presence of evil in this world are both very real—but neither one is any match for the love of God. After all, God is in the redemption business, and Jesus has said that his grace will be enough for whatever we face. There is nothing you or I will face today, tomorrow, or ever that we will face alone. Jesus will be there with us, and he will provide every­thing we need to walk through it. What can help you take your eyes off yourself and instead be more focused on the love of God and the companionship of Christ? 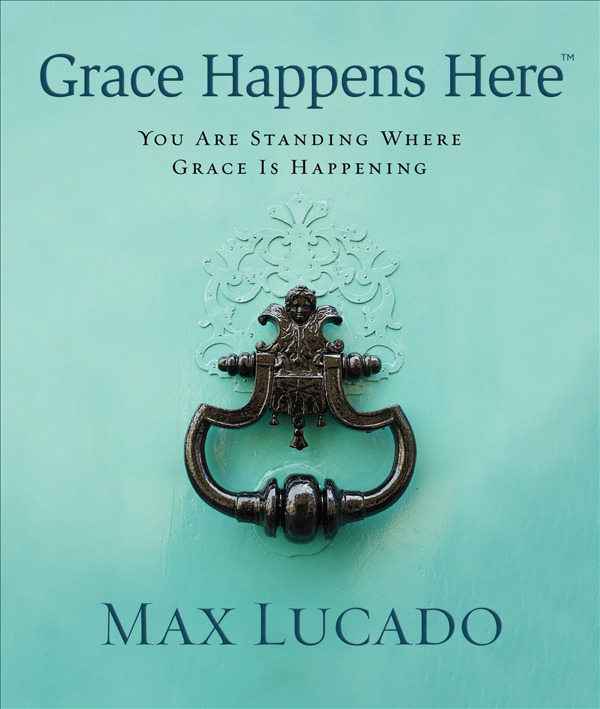 In Grace Happens Here, best selling author Max Lucado shows that when grace happens, it's not just a nice compliment from God, but the key to a new heart. Through powerful quotes and Scripture, inspiring imagery, and moving stories, Grace Happens Here is the ideal gift for anyone looking to be transformed by God's healing grace.